What most people in California mean by “death taxes” are the federal estate taxes and state inheritance taxes. These are taxes levied on the value of the estate. 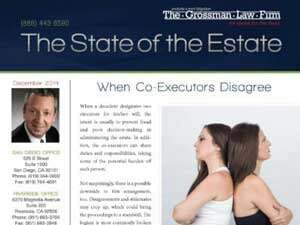 They are not on the income of either the estate or the decedent. Most estates will not be subjected to either one of these taxes under California probate rules. The State of California has no inheritance tax. There is a federal estate tax exemption for estates worth less than $3.5 million for deaths having occurred in 2009 or later. 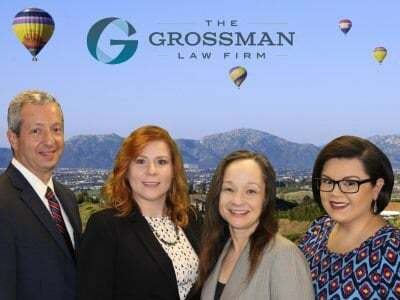 It is important to note that the personal representative should not consider the probate value of the estate but the total gross value, including assets that avoid the probate process, such as property in joint tenancy, named-beneficiary property, pay-on-death assets, etc. 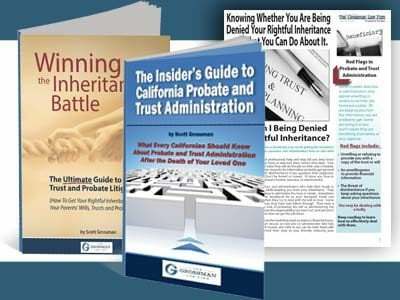 Call San Diego estate planning and probate attorney Scott Grossman for a free discussion of your case, and order his free book The Insider’s Guide to California Probate and Trust Administration.